A range of plain and vented soffits available as flat boards or cladding boards. Our soffits are available in a range of colours; White, Rosewood, Mahogany, Light Oak and Black Ash. PVC Coverboards are 9mm flat-backed ideal for overcapping existing sound timber backing. Coverboards are Available in White, Rosewood, Mahogany, Light Oak and Black Ash. We supply a wide range of PVC Sealants, Fixing and Cleaners for any PVC related job you undertake. Our range of products includes PVC Expanding Foam and Cleaning products. Welcome to Click Plastics, the online supplier of building plastics. We supply a wide range of PVC building products throughout the UK, at some of the industry’s most competitive prices. The majority of our stock can be found online, simply by browsing through our website. If you need any help or advice on products or installation, please don’t hesitate to get in touch via telephone or email. We supply a broad range of PVC building products including cover boards, guttering, cladding and window trims. If you can’t find what you’re looking for online, just give us a call. 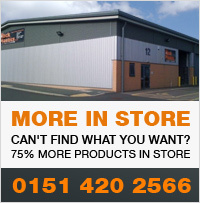 We have over 75% more products in store. 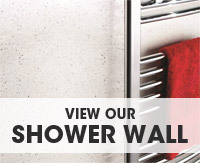 Here at Click Plastics, we are one of the market’s leading providers of shower wall paneling in the UK. Highly sought due to its attractive design and long wearing properties, shower wall is the ideal alternative to the traditional bathroom tile. Although shower wall is known for its easy manual installation that can be done at home, we offer full installation with all of our shower wall panels, for ease and peace of mind. There is a diverse range of styles to choose from, including matte; gloss; sparkle dashed, and rippled or marbled effects to emulate many popular materials. Shower wall is designed to compliment any bathroom type, whatever materials may be present and whatever your colour scheme. It is easy to clean (thanks to no grouting); highly water resistant; doesn’t harbor bacteria and is super long wearing. Try calling us for advice on making the switch to shower wall today. Guttering is needed for collecting rainwater on a house and ensuring it is disposed of smoothly (eventually into the drain). They are essential for basic upkeep and home maintenance, and should be replaced every few years to avoid cracking or breaking. Gutters can be made from various materials, but we believe strongly in the benefits of PVC guttering. A highly flexible yet sturdy material, PVC can handle large volumes of rainwater effortlessly whilst remaining light, easy to install, easy to maintain and easy on the eye. We’re committed to giving our customers an easy, fuss-free buying experience; whether you’re a homeowner, tradesman or wholesaler. 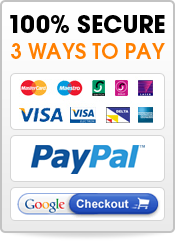 Not only are all of our items carried in stock, we offer a choice of three secure ways to pay, and all trade accounts are welcome. Our delivery is nationwide, and we don’t charge for orders over £70.